The facilities are topnotch and its easy to see why it won the award. Two beautiful beaches with gently sloped paths down to them for easy access are separated by the shower, locker and other facilities. Three parking lots are spaced evenly along the park to ensure every parking spot is close to the beach. A walking path follows around the rim of the beaches and beside the ocean. As well, benches and tables for picnics are located all around the park. If the weather isn't cooperating there's even a common room for enjoying the ocean view from the comfort of indoors. The beach is also host to an Italian restaurant called Zona. They offer fine dining with an ocean view and, while they might appear expensive, they also have a few chef's choice menu items which are reasonably priced. The only potential downside to Sunami Kaihinkouen is that it is extremely popular in the summer because of its well thought out design. A little further along the coast to the south from Sunami Beach Park is a small and unremarkable rocky outcropping which has a park built on it. 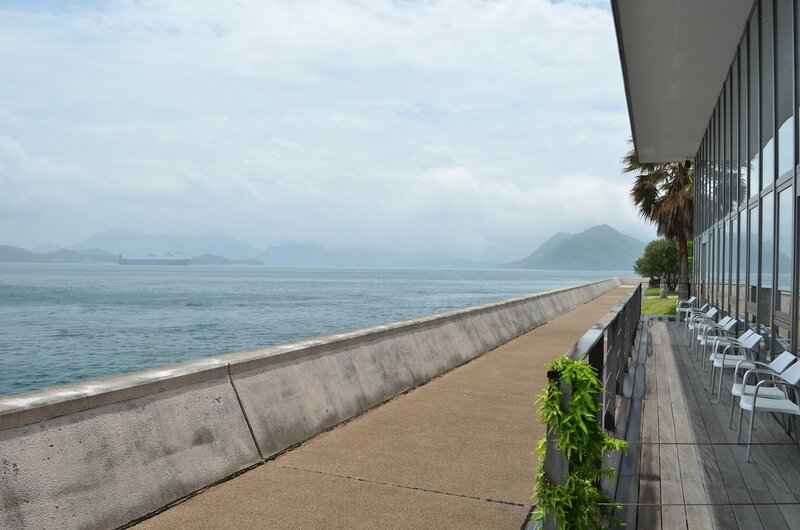 The view is nice but the park's real purpose is as a tribute to Kei Wasasugi and his novel Eden no Umi. Eden no Umi is a novel Kei Wasasugi wrote for young adults from his experiences teaching at the nearby High School. The novel is a reflection on the spring of destiny and hope that youth provides. Three movies were made in 1950, 1963 and 1976 with the same name which, overnight, made the area's scenery famous throughout Japan. 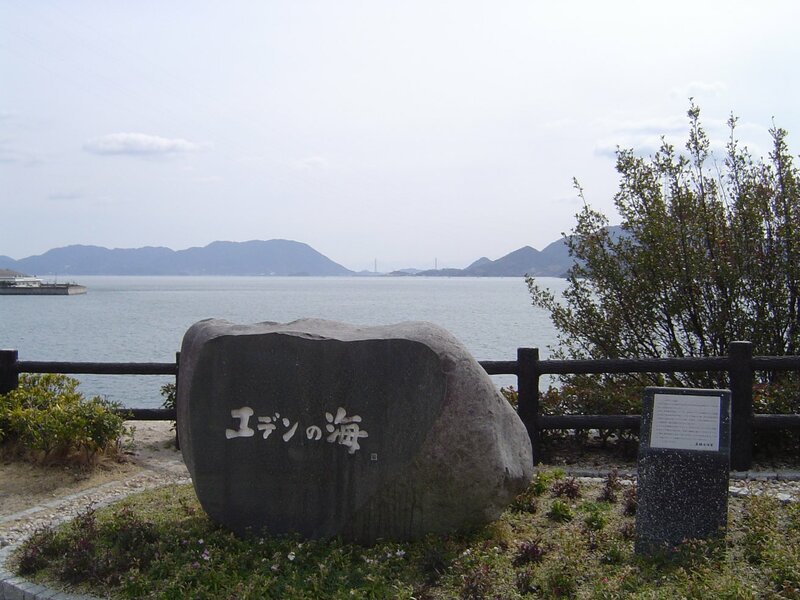 Sunami Beach Park is located 6 km west of Mihara City on Highway 185. The closest train stops 2 km away from the beach at Sunami Station. 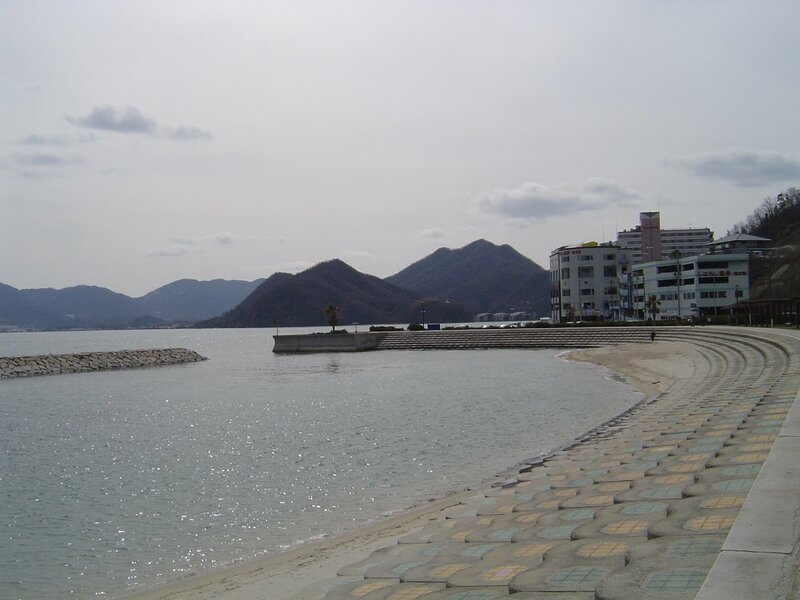 Several different buses stop at the beach including Mihara City Bus #22 which takes 20 minutes to reach the beach from Mihara Station. 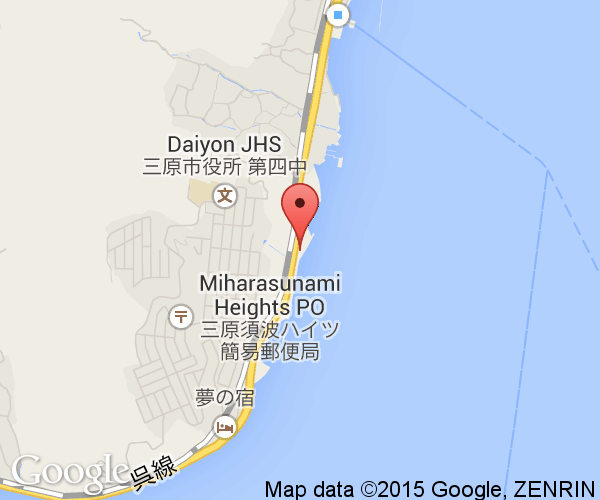 By car, it should take less than 20 minutes to reach the beach from in Mihara City.